Firefighters were called to a small fire in a kitchen at a house in Edinburgh this morning (18 December) at 9.21am. Crews from Marionville and Crewe Toll were mobilised by Operations Control Edinburgh to Blackthorn Court and on arrival discovered a small fire in the kitchen. Firefighters wearing breathing apparatus extinguished the fire with a high pressure hose reel. One female casualty was treated with oxygen at the scene by firefighters until the arrival of the Scottish Ambulance Service. She suffered slight smoke inhalation but did not require hospital treatment. 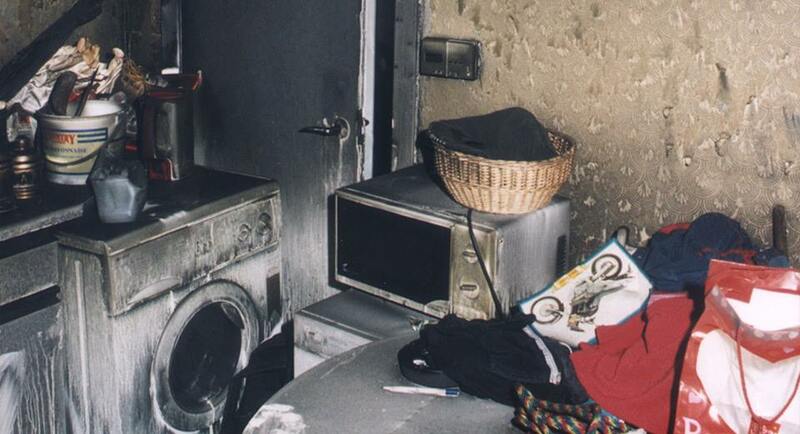 “Many kitchen fires happen when people are not paying attention, leave things unattended or from the careless use of electrical appliances but there are several things you can do to prevent fires in the kitchen. “Don’t leave pans unattended. Take them off the heat if you have to leave the room. Fire starts when your attention stops. When you have finished cooking, make sure the cooker or oven is turned off. Don’t clutter your work surfaces with combustible materials. “SFRS crews routinely conduct free home fire safety visits to help householders identify risks and take the simple steps needed to reduce the chance of fires. Anyone can join Scotland’s fight against fire and register for a free home fire safety visit by calling 0800 0731 999, texting ‘check’ to 61611, filling out a form at www.firescotland.gov.uk or by contacting their local fire station.